Save your pennies for a rainy day with this adorable pink Rubber Piggy Bank. 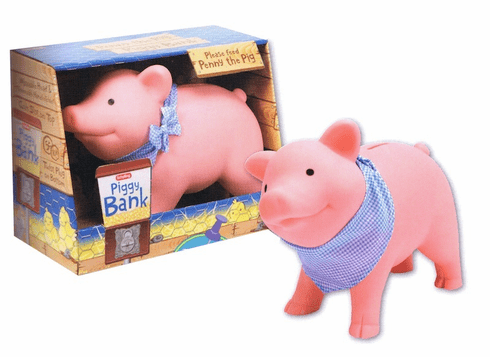 This piggy bank is soft and cute with his detachable scarf and moveable head. Don't have to worry about it breaking! Measures 7.5" across.